Hamstrings, calves and hips can become chronically tight from endurance sports. 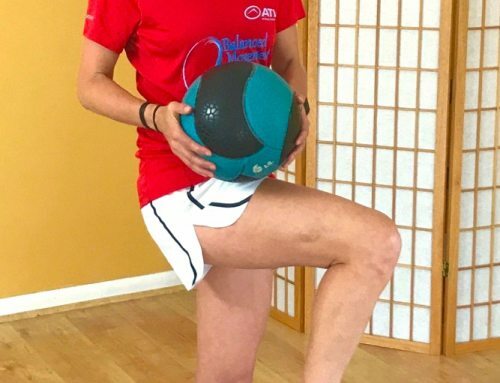 Excessive tightness can then create pulling on the pelvis that robs power and results in spine, hip, and hamstring pain. 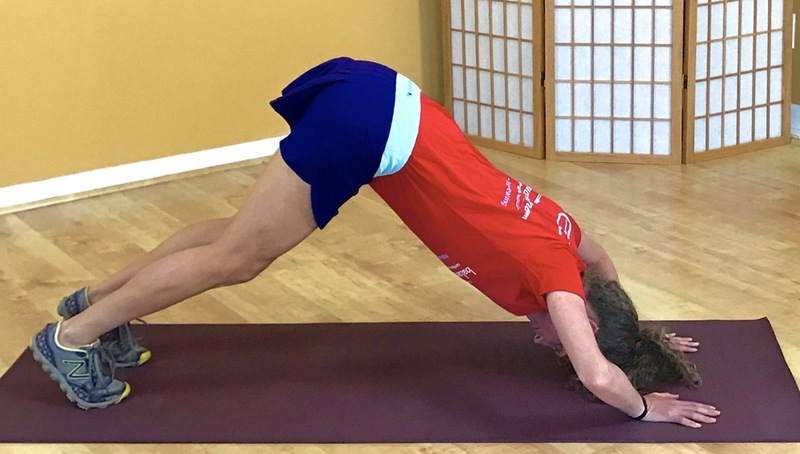 This month’s core corner gives you dynamic mobilization for these structures. It also builds core and shoulder strength while allowing you to notice and gain control of your pelvis and core when the legs are active. 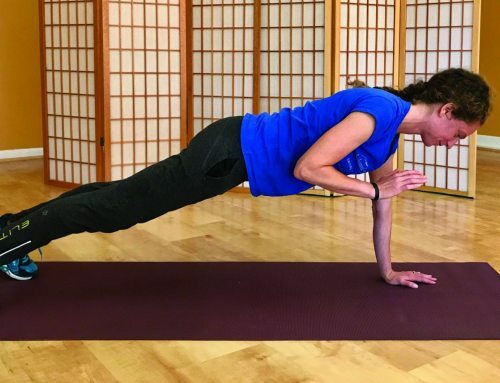 Begin in push up or plank position, engage the abdominals and low back, and lengthen the neck to create a long line from the top of the head to the base of the pelvis. 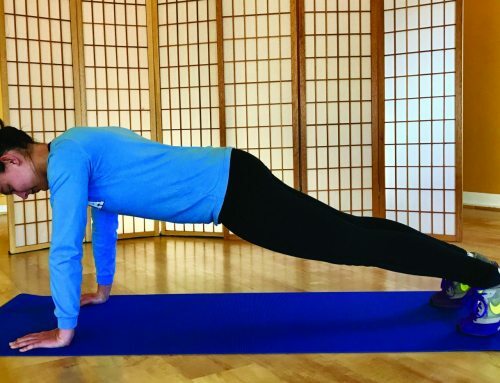 Push your pelvis up and back, hinging at the hip joints while dropping and widening the shoulders. 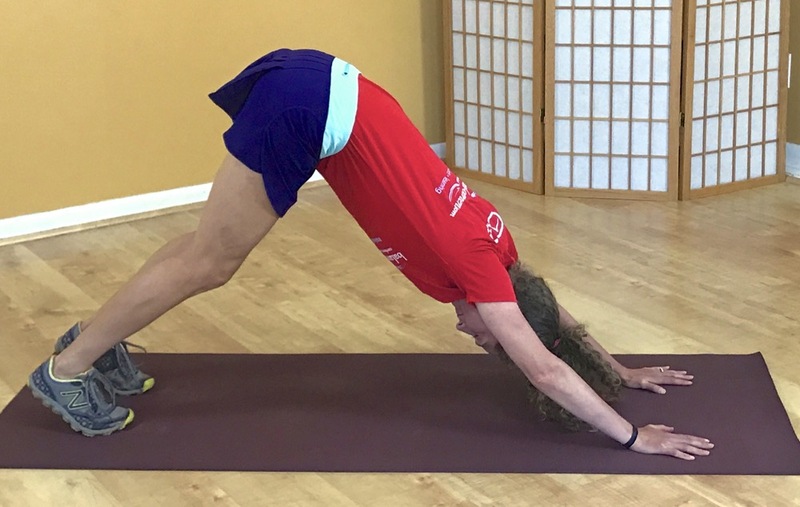 Pay attention to your spine and only bend the hips as far as the hamstrings allow without pulling on the pelvis and spine. You can slightly bend your knees to access a deeper fold in the hips. While holding the stable position of the hips and legs, bend the arms and shoulders to lower your head toward a spot between the hands, and then push back into the stretch of the hips and hamstrings. Repeat 10 times, pausing at the end of each stretch.